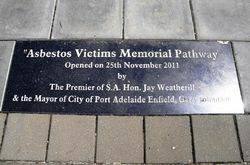 A monument commemorates the victims of asbestos related diseases. 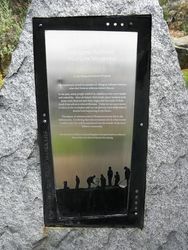 The project was built by a group of people interested in making a memorial to all those that succumbed to asbestos diseases whilst working at the Islington Railway Yards. 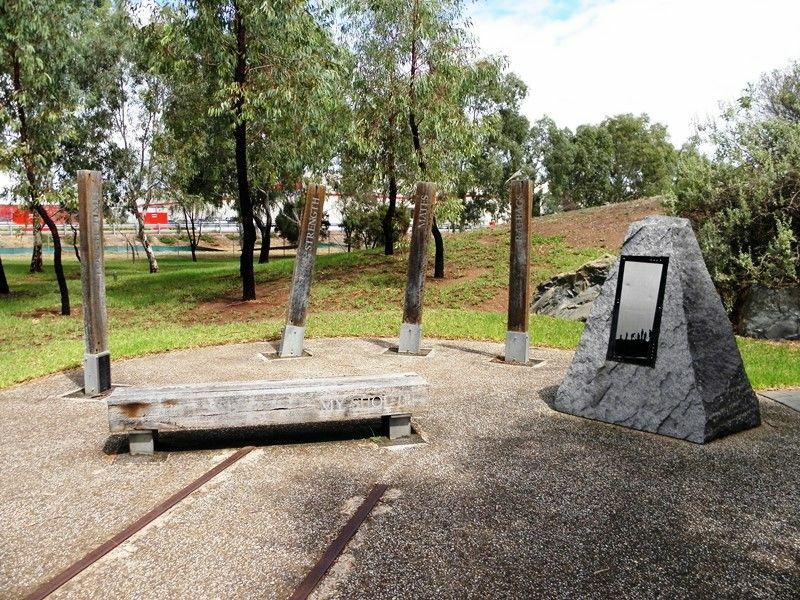 In 2011 it was decided to add to the original memorial and make a Memorial Walkway so as to allow the families of all asbestos disease victims to honour them in a fitting tribute. 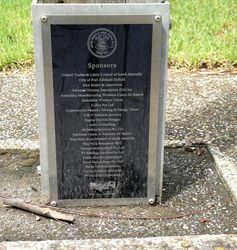 Jack Watkins Memorial Reserve is the former site of the Islington Railway Yards, which was a place where a large number of workers died of asbestos related disease as a result of the work they were performing. One of the worst jobs resulting in this large number of deaths was the removal of friable asbestos from railway carriages. This put the workers in direct contact with the material. It also resulted in wives and children of the workers dying as the workers carried the dust home on their clothes. Asbestos dust also blew around the area into people`s yards and homes. This monument stands in memory of Islington railyard workers who died from an asbestos related disease. In the past, many people worked in conditions that were unsafe and unhealthy. After an honest day`s work, many workers took home with them not just their wages, but the seeds of their death from asbestos related illnesses. Today we are more aware of safety in the workplace and we can prevent such work related deaths from happening in the future. The impact of asbestos related illnesses is keenfly felt in the Kilburn area. It is fitting that this monument sits in what is now a public park that will be maintained for the benefit of the local Kilburn community. 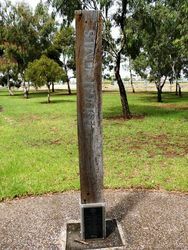 May the sound of children`s voices and laughter in this park stand as a tribute to those workers who died and help ease their passing.